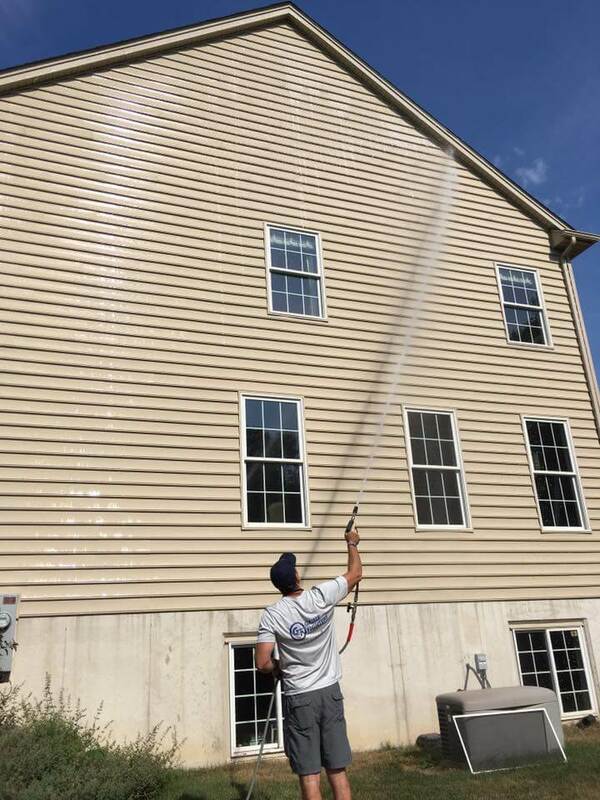 Grime Fighters Pressure Washing Services is a premier commercial and residential power washing company in the Lehigh Valley, PA, offering quality services at reasonable rates! 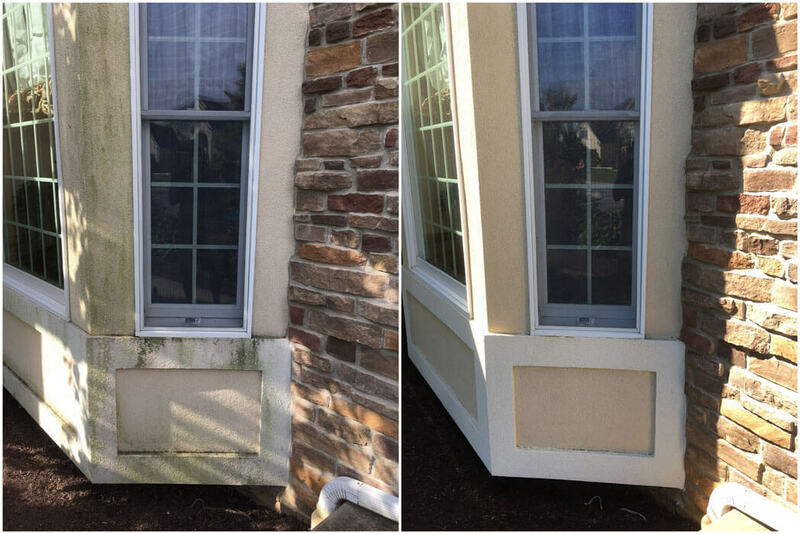 We work hard to clean the exterior of your building or home to bring it back to life. Our professional equipment, can remove dirt, gum, grease, moss, and more! 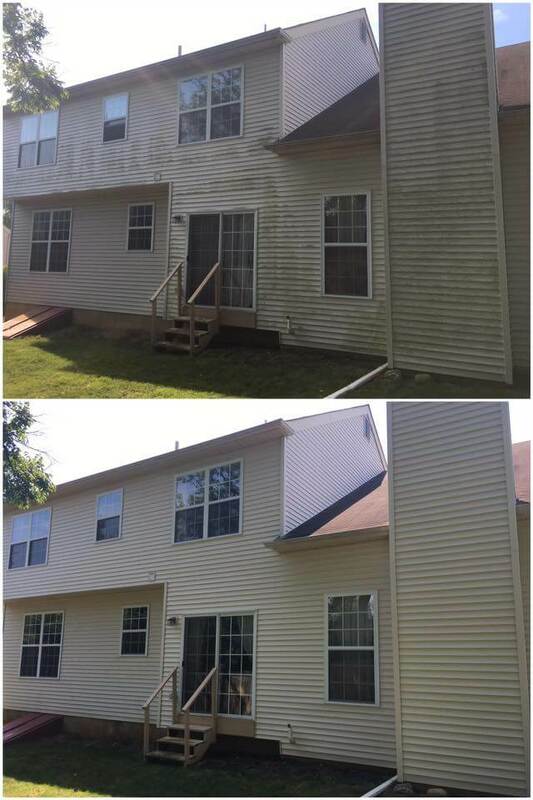 Save money on re-painting your home by pressure washing for a brand new look! Call us today to learn more about the commercial and residential Exterior Pressure Washing options we offer or to get an estimate. Why call us for your pressure washing needs? Your home. 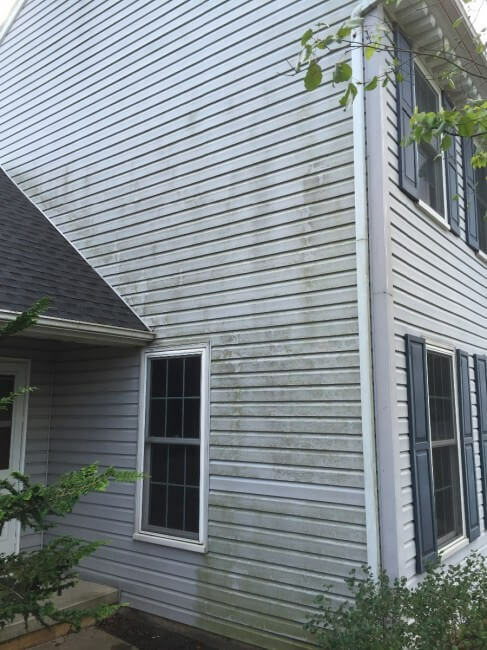 Grime, dirt, and mildew collect on your home’s siding and if left untreated, can lead to expensive repairs. These stubborn stains can be removed without using extreme water pressure as long as you use contractor grade chemicals. 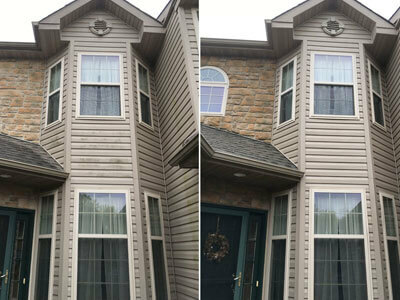 When you call us to clean the exterior of your home, our trained professionals will properly and effectively restore your home to it’s original clean. We’ll even be able to get rid of irrigation rust stains with pressure washing. Brick and block can also collect dirt, mold, and mildew and must be cleaned on a regular basis as well. There are many types of brick. Some brick can not withstand as much pressure as others. Our experience helps us know exactly the right pressure to use for every surface eliminating any risk of damage. We also safely and effectively clean stucco and dryvit. 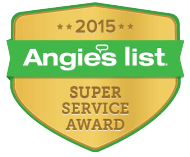 Has the Mold Mildew Algae & Dirt (MMAD) been sapping you of the wonderful feeling of a clean and healthy Home? These MMAD problems not only make your home look run down, and drab, but have you ever wondered what health concerns could be attached to living will the MMAD issues? 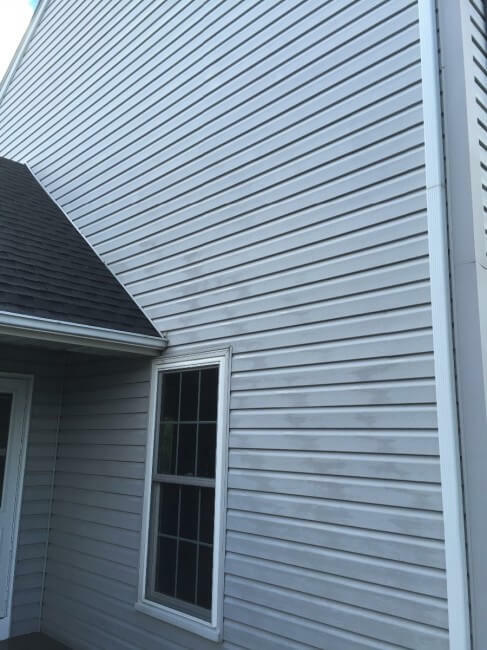 When dirt, grime and mildew collect on your home’s vinyl siding, stucco, brick, and deck (as shown above) exteriors and remain uncleaned, they can quickly incur expensive repairs or replacement costs. The exterior surfaces of your home are constantly exposed to harmful elements, both man-made and natural. Environmental Pollution, Rain, Construction Dirt, Wind, and Grime physically attack surfaces causing them to degrade, discolor, oxidize or chalk over time. Mold, mildew, birds, insects, spiders, and sap from trees add to these effects. Do you really want to tackle the problem on your own? Or would it make your life a lot easier to have us look after this for you? 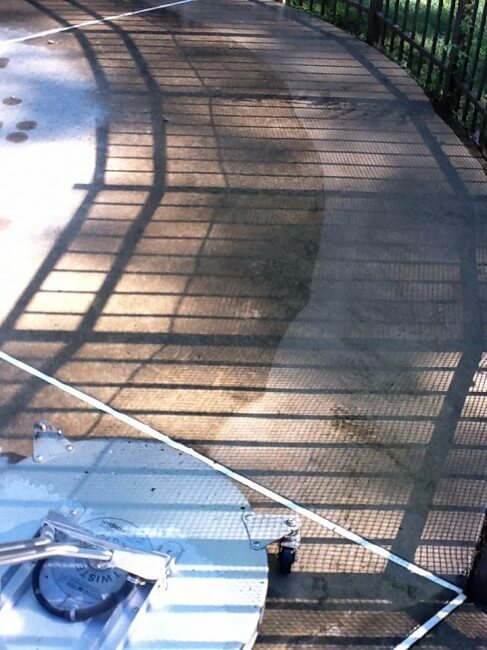 Check out some of our recent Pressure Washing projects! Check out our great customer reviews. Great review from Michael Washer...""
Great review from Barbara Beal...""
Great review from James Cheever..."Great job. Reasonable cost." Great review from Jeff Smee..."Very effective communicators. Thorough cleaning. Efficient. No mess." "Very effective communicators. Thorough cleaning. Efficient. No mess." Great review from Erin Faust... "Grimefighters did an excellent job—very responsive and went the extra mile. Also, easy to work with." "Grimefighters did an excellent job—very responsive and went the extra mile. Also, easy to work with."